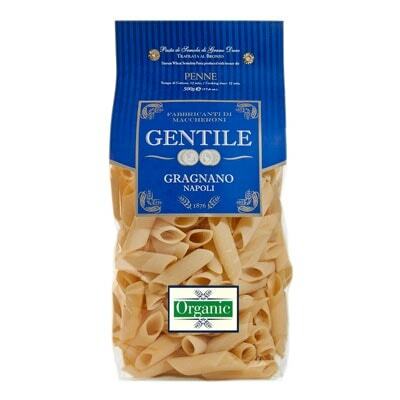 Some lovely pasta that comes in a blue pack, this Organic Penne from Gentile can be great with any of your favorite sauces. And if you serve it with some savory meat sauce like ragù, you will get tons of scrumptiousness in one spoonful. A delicious creation from Campania’s Gentile, this pasta pack is perfect for family dinners or parties. Take note though that when you cook these, they expand. So don’t cook too much or you’ll end up with tons of leftovers. But then who cares about having yummy leftovers, right? So nab a bag of these lovely pasta and start cooking today!